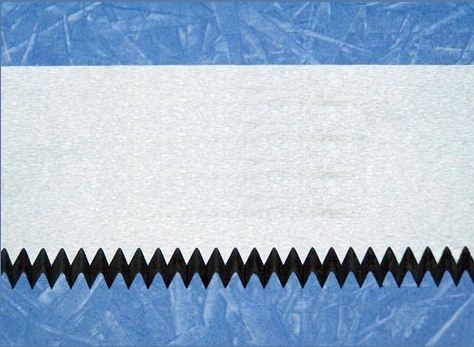 California Knife & Blade is one of the leading manufacturers and suppliers of paper tissue and towel perforating blades and log saw knives for tissue manufacturers. Our capabilities allow us to build and supply hightest quality precision tissue and towel cutting knives and log saw blades with strict tolerances. 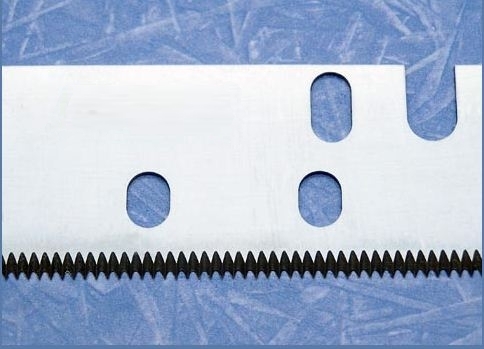 Our tissue knives and towel perforating blades are manufactured from a material of our customer's choice as well as from materials carefully selected by us based on our customers' requirements. Our customers seeking advice on material selection are also provided with in-depth material analysis specifically designed for their cutting proceses. 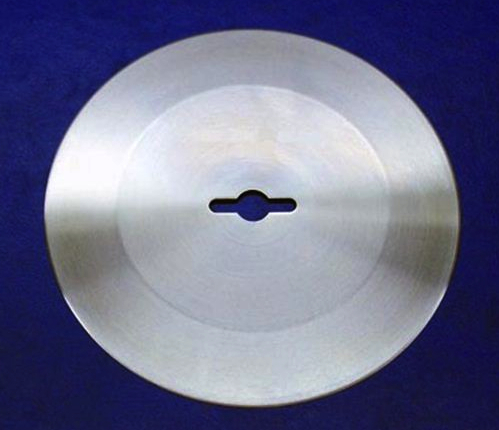 For over four decades, California Knife and Blade manufactures and supplies highly durable tissue knives, towel perforating blades and log saw knives. With our well-trained and highly experienced team combined with our in-house high-tech CNC, Wire EDM and laser cutting machines, we provide quality custom and standard OEM blades at very competitive prices delivered within the shortest lead time in the market. California Knife & Blade manufactures all types and shapes of custom tissue knives, towel perforating blades and log saw knives based on a blueprint, sketch, technical drawing, or even specifications provided by our customers. Let California Knife & Blade help you get the best quality tissue knives, towel perforating blades and log saw knives at a competitive price within a very short lead time. Please CONTACT US now to get a quote.